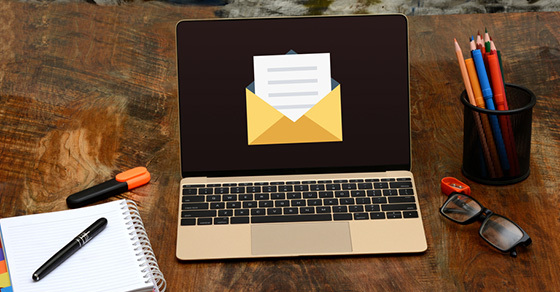 There are two ways to write great newsletter subject lines: writing subject lines from scratch or adapting the successful lines of other copywriters. The latter is more common than you would think, and helps a lot of beginner marketers find early success. 1. Include a call to action. This will most often be a call to read the text of the email, but could also be a call to examine personal finances, consider a recent news event, or visit a website. However, it should not be a direct sales pitch for your good or service. Save that for the text of your email. 2. Play to wants, needs, and fears. Effective subject should identify a problem that your customers may have, and describe how reading the email will help them fix it. 3. Keep it short. A study by MailChimp found that emails with subject lines less than 50 characters in length perform better than their longer counterparts. 4. Avoid spammy words. Many spam filters now automatically flag emails with the word “free” in the title. In addition, other similar words, like “percent off,” “sale,” etc. raise potential customers’ suspicions and make it less likely that your email will be open. 5. Do not ask for help. Customers don’t want to help your business. 7. Be informal but not cheap. Be willing to bend the rules of grammar a little bit. It’s not a bad idea to use exclamation marks or even some all caps to help drive your point home. Hashtag references and emoticons, used sparingly can also make your email more relatable. However, the one thing that you absolutely should not do is use special characters, strange punctuation, or lower-case proper nouns, as this reads like spam. 8. Create and test variants. Send out half your emails with a slightly different subject line, and see whether they do better or worse. This can help you figure out which specific words potential customers respond to. 1. Follow competent marketers. Pick marketers whom you admire and follow them on Twitter. Sign up for their mailing lists. Pay attention to the emails they send you. 2. Develop a list of useful phrases. Did one email in your inbox stand out? Why? What parts of the subject line could you adapt for your own products? Which words work best? Keep a spreadsheet that shows good words and phrases, and where they came from. 3. Write your own lines using the effective words and phrases of others. This isn’t plagiarism. It is just adaptation. Other marketers have already done the research on which words and phrases sell products best. There is nothing wrong with standing on the shoulders of giants. For more information on writing email subject lines, check out these tips from Copyblogger.